MakerDAO is an open, banking protocol that allows anyone to create a Collateralized Debt Position (CDP) for issuing debt to yourself in DAI, a USD pegged Stable Coin. There is no single entity that controls the protocol; it’s governed by the community. On 1st Dec’18, our team committed to building a coverup solution around MakerDAO protocol and it’s about to turn 2 months since the first launch of Decentralized Bank, InstaDApp. Our platform has issued +61,000 DAI with over 1,100 ETH locked as collateral and 65 CDPs opened so far. Visit this page for live stats. And while building a summary dashboard for InstaDApp, we buckled up to build a completely standalone intuitive MakerDAO Explorer, MakerScan for easy understanding of the overall protocol. What Ryan tweeted about Augur, is also genuinely true for many protocols. MakerDAO is a permissionless financial protocol, but as being in an Innovator stage, it’s hard to use for real consumers. To bring the mainstream adoption, we need a centralized entity to build a UX, smoothing edges & making it useful for Early Adopters. 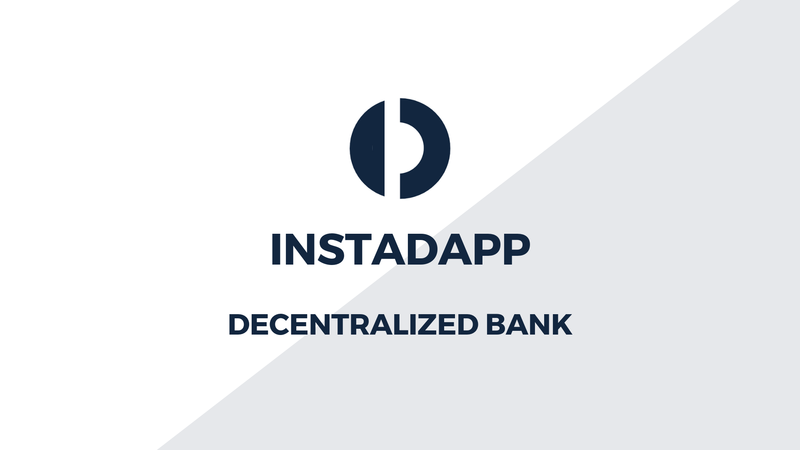 InstaDApp, with a sleek UI/UX, will make it super easy for a non-technical and non-financial person to easily interact with blockchain, specifically take loan via MakerDAO. In a great use case, a 17-year-old who’s about to start college opened a CDP on InstaDApp and took her first loan ever, that too on Blockchain. She penned down her experience below. Allow collateralization of multiple tokens. However, ETH will still remain the main collateral asset in the system. Earn saving interest for stacking DAI in the system bridging the complete banking need for InstaDApp. 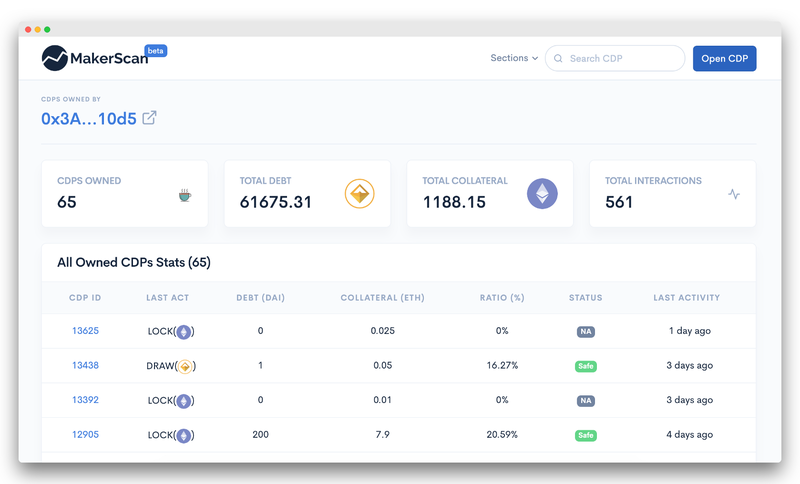 Turn your CDP into a wallet. “Borrow & Send” feature on InstaDApp allow you to Mint DAI and send it to others in a single call. Use your CDP as a wallet. Publicly wipe DAI or add ETH in CDPs which you don’t own. Turn your CDP into a public figure. Decentralized & Open Finance. This brings a more innovative use case like project funding via CDPs as pointed out by Nick, founder of 1confirmation. This year, in our sequential launch, we will keep showcasing some interesting use cases around CDP like MultiSign CDP, think of company’s directors managing a collaborative CDP. One of our main priorities is to bridge the gap between DAI and USD (Fiat). Wipe DAI by using USD and withdraw DAI loan in your bank account. We are in constant touch with SendWyre team to assist us through the DAI<>USD conversion process under the hood. It will be pretty amazing to manage CDPs via Fiat transactions using your traditional bank accounts. At InstaDApp, we are committed to growing MakerDAO ecosystem and building innovative products around protocol to bring the mainstream adoption of overall Decentralised Finance #DEFI. If you have any questions, we can get in touch on Twitter. Would love to have your feedback & suggestions.